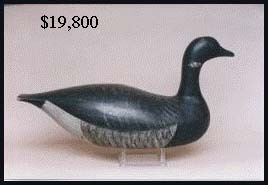 900+ lots. 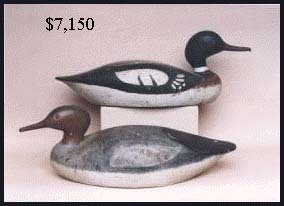 Featuring decoys from the collections of Bernard Crandell, Sr., Herman Votens, and Herbert Hancock. 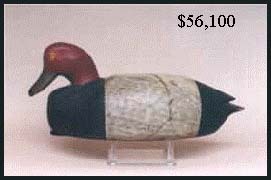 The July 2001 Auction grossed $1,750,00, which was about 20% more than was anticipated. 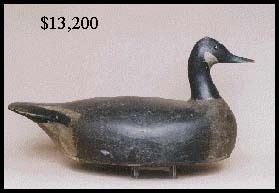 The crowd was not large (approximately 350), but very enthusiastic, and there were many more phone and absentee bidders than normal. 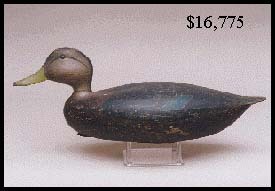 As in our April auction, decoratives and miniatures by Elmer Crowell brought very high prices. 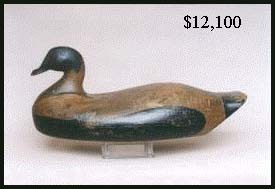 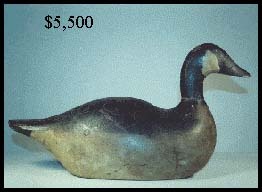 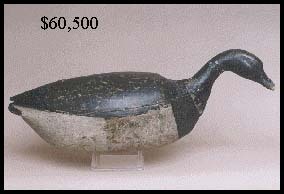 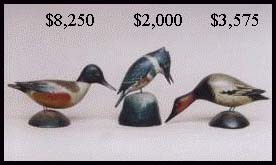 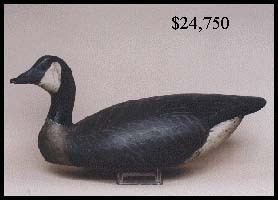 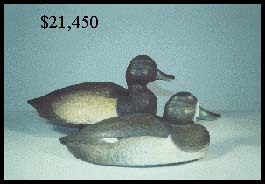 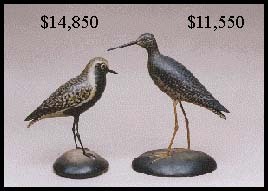 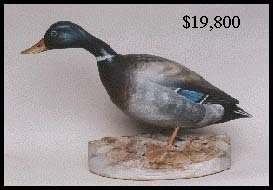 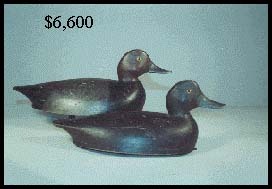 Also, Ontario decoys from the collection of Barney Crandall continually sold over estimate. 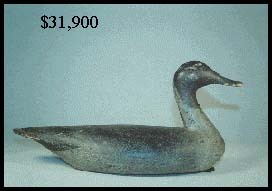 31 lots sold for over $10,000 each, but only 2 sold for over $50,000 each. 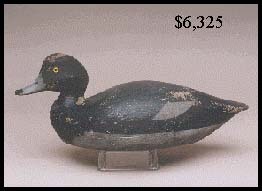 Important brant by Nathan Cobb Jr.
Redhead drake by Nathan Cobb Jr.